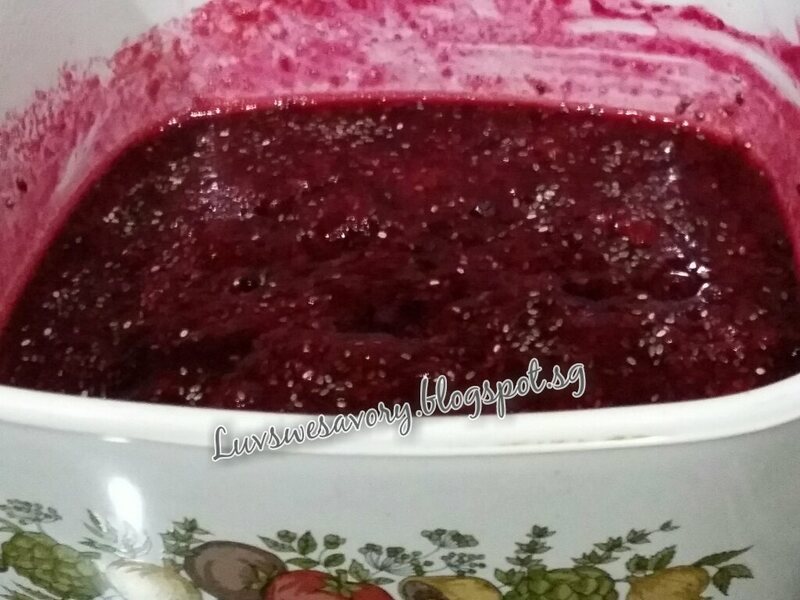 Luvswesavory: Blackberry Chia Jam & $500 Paypal CASH Giveaway! Blackberry Chia Jam & $500 Paypal CASH Giveaway! Although I've made Pumpkin Kaya and Mango Jam (but didn't post) sometime ago, I've never imagine myself making homemade fruity jam could be that easy ^-^! What I love about this is the use of all natural fruits/juices with no sugar added. 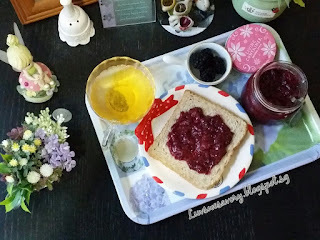 With the added Chia Seeds (packed with omega 3 fatty acids), these tiny chia seeds thickened the mixture and transformed a jar of spreadable healthy jam ... fast & easy, no sweat ! 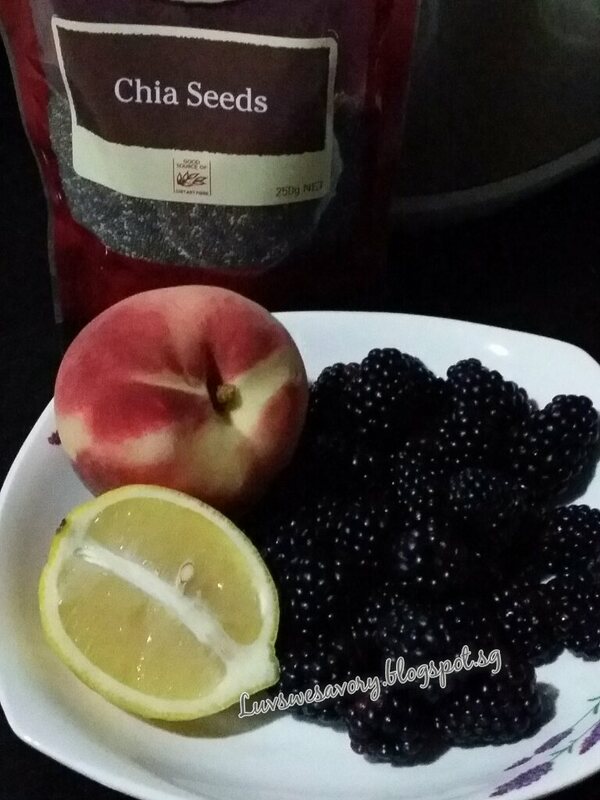 Spread on bread, rolls, digestive biscuits, pancakes ... anything that you could find at home to make some healthy brekkie, tea/coffee snacks with this Blackberry Chia Jam. Below my slightly adjusted version on the ingredients. In a small saucepan combine all the Ingredients A and cook with medium flame. Stirring occasionally. Once the fruit mixture heats up and begins to boil, mash the fruit using the back of a fork till they break up. This takes 3 to 5 minutes. Sweeten the mashed fruit with 1 to 2 tablespoons of honey. Lastly, add the chia seeds and stir once. Off the flame. The mixture will continue to thicken as it cools. Once cooled, transfer the fruit mixture to a jar or airtight container and refrigerate. Fridge for up to 2 weeks. 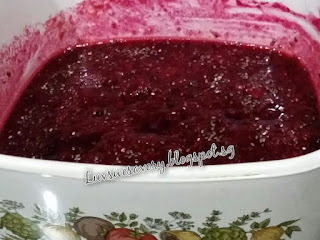 Of course, mixed berries or just strawberries would be my next "Berry Berry Chia Jam" ! But before that, here's a gentle reminder ... a chance to * win a $500 Ang Pow as we usher into CNY2016 ^-^! To welcome the Year of the Red Fire Monkey, 10 cooking bloggers have come together to bring you the chance to *win a S$500 ang pow! (Terms and Conditions Apply). *One Prize of SGD500 will be sent to one winner via Paypal (or bank transfer within SG). An email will be sent to the winner to notify him/her of the win. Should the Organiser (Diana) not receive a reply within 48 hours, another winner will be selected. This giveaway is opened to ALL participants! So, what are you waiting for ?! Take part and maybe you will be the lucky winner ! 猴年行大运, 发大财 ! "Huat ah" ! 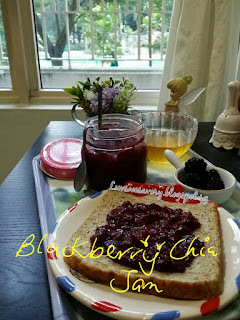 Hi Karen, what a beautiful jam, love that it is made out of chia seeds, great giveaway! Thanks for your compliments, Cheri. Yes super easy to make ! Would love of your jam for my toast bread and coffee! Wonderful jam! I never thought of adding chia seeds! Very tempting giveaway, would make a lovely CNY angpow indeed! Thanks Joyce. Yeah join the fun and wish you good luck ! Thanks for the compliment, Maria! That looks so tasty. Such delicious jam. Thank you so much for the recipe. This is lovely, Karen! 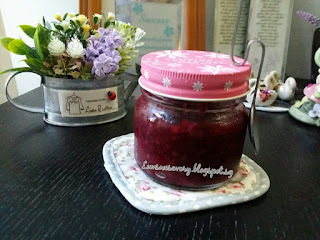 I have always assumed that jam-making would be messy and time-consuming. Well, thank you for showing how easy it is. I'm going to give it a try one day! Karen, that's such an easy method to make jam. It's healthier too since can use honey or very little sugar. Yea agree, Phong Hong. 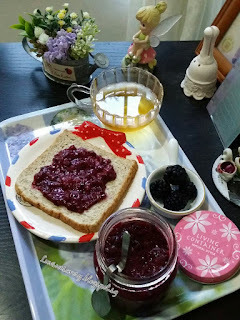 Like it that can use other berries and make the freshness fruit jam as and when I like it. Thanks for dropping by my space :-) Just a little question, how long would this jam last in the fridge? I was thinking of making them and storing it in the fridge (if it could last me for 3 months?). Hehehe, I am a typical student. As suggested in my post "Fridge for up to 2 weeks." Think it should be best consumed within a short period as no added preservatives. You're welcome, Ginnie and wish you good luck! Wow! I love jam! This is fabulous. I haven't tried blackberries before. Are they tart like raspberries? ooooh this looks so goood! 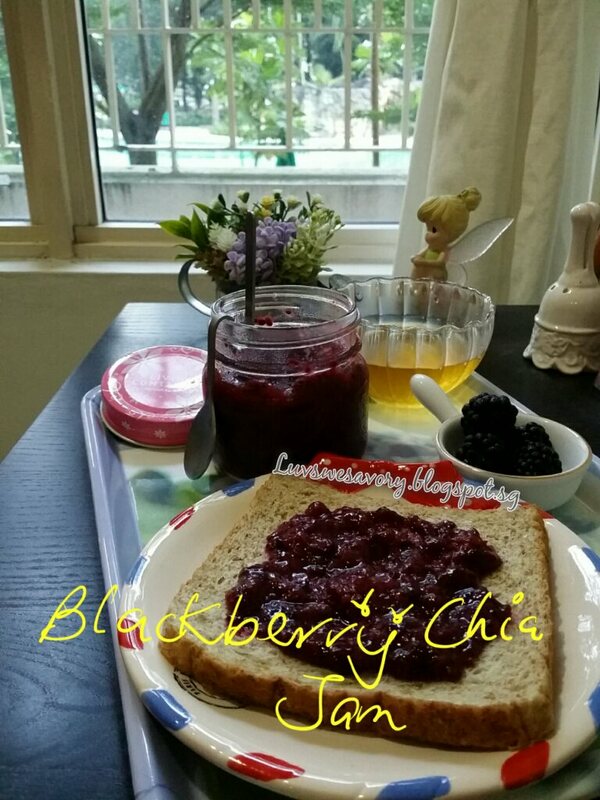 Chia seeds to make jam as natural thickener? Great idea! Wish you good luck, Rodel ! A jar filled with wholesome goodies.